Captain F B Schaeffer, Beauregard Rifles, was appointed acting major, Schaeffer's Battalion Infantry, by Special Orders No.94, Paragraph II, Headquarters, Army of the Potomac, Camp Pickens, Manassas Junction, Prince William County, Virginia, on 6 July, 1861. The company was accepted in state service at Pheonix Hall, on Prince Street, Alexandria, Alexandria County, Virginia, on 1 April, 1861, and was mustered in state service for one year at Camp Pickens, Manassas Junction, Prince William County, Virginia, by Major G W Brent, Provisional Army of Virginia, on 1 May, 1861. The company was assigned to Schaeffer's Battalion Infantry, under the command of Acting Major & Captain F B Schaeffer, by Special Orders No.94, Paragraph II, Headquarters, Army of the Potomac, Camp Pickens, Manassas Junction, Prince William County, Virginia, on 6 July, 1861, and First Lieutenant E H Cummins, Beauregard Rifles, was assigned to command the Beauregard Rifles during the first battle of Manassas on 21 July, 1861 (See the 1st Virginia Infantry). Note: Second Lieutenant F B Schaeffer, 3rd United States Artillery, was appointed captain, National Rifles, District of Columbia Militia, in 1860 and his commission was returned to the War Department, on Seventeenth Street, Washington, D. C., by Colonel & Inspector General C P Stone, District of Columbia Volunteers, on 6 February, 1861. Captain F B Schaeffer, National Rifles, District of Columbia Militia, resigned on 12 March, 1861 (See the District of Columbia Militia, Department of Washington). The company was mustered in Confederate service for the war at New Orleans, Orleans Parish, Louisiana, by First Lieutenant C W Phifer, cavalry, Confederate States Army, on 8 June, 1861, and was ordered to proceed by the New Orleans, Jackson & Great Northern Railroad to Lynchburg, Campbell County, Virginia, on 17 June, 1861. The company arrived by the Virginia & Tennessee Railroad via Grand Junction, Hardeman and Fayette Counties; Knoxville, Knox County; and Bristol, Sullivan County, Tennessee, at Camp Davis, a quarter of a mile southwest of College Hill, Lynchburg, Campbell County, Virginia, at 1 PM on 22 June, 1861. 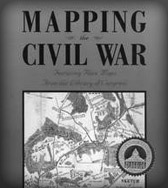 The company was ordered to proceed by the Orange & Alexandria Railroad to Manassas Junction, Prince William County, Virginia, under the command of Captain R A Hardaway, Hardaway's Alabama Volunteers or Light Infantry, on 4 July, 1861, and was accompanied by Hardaway's Alabama Volunteers or Light Infantry, the North Sumter Rifles, and the Madison Artillery or Tips (Tipperarys) (See the Battalion Heavy Artillery). The company was assigned to Schaeffer's Battalion Infantry, under the command of Acting Major & Captain F B Schaeffer, Beauregard Rifles, by Special Orders No.94, Paragraph II, Headquarters, Army of the Potomac, Camp Pickens, Manassas Junction, Prince William County, Virginia, on 6 July, 1861. The company was accepted in state service at New Market, Nelson County, Virginia, on 7 June, 1861, and was mustered in state service for one year at at Camp Jefferson, on the grounds of the University of Virginia, one mile west of Charlottesville, Albemarle County, Virginia, on 11 June, 1861. The company was assigned to Schaeffer's Battalion Infantry, under the command of Acting Major & Captain F B Schaeffer, Beauregard Rifles, by Special Orders No.94, Paragraph II, Headquarters, Army of the Potomac, Camp Pickens, Manassas Junction, Prince William County, Virginia, on 6 July, 1861 (See the 49th Virginia Infantry). "A correspondent of the Alexandria Gazette is reponsible for the following: The mother of a member of the National Rifles, now at Culpeper, having written to him that every blow struck by him against the Union was a lick at her, quaintly remarked: 'Well, old lady, you'll get a terrible licking before I am done with you'." "A few more men, willing to join a company fixing up for immediate service in Virginia, will be received in Company B, Crescent Blues, Capt. Goodwyn; armory at corner of Camp and Natchez streets. Uniforms are furnished by the Company. See Capt. Goodwyn's notice." "Richmond, 4 June - Captain McG. Goodwyn. Your company (B, Cresent Blues,) offered for the war, is accepted and ordered to Richmond. L. P. Walker, Secretary of War." "This splendid company, which we have before referred, leaves today for Virginia." "He inspected the division, thus increased, consisting of the 2nd and 8th South Carolina regiments, the shattered remnants of Hampton's Legion, about 150 strong, whom we had received, (what with the killed, wounded, and those attending them, few were left in the field,) ans one company - partly of Marylanders, and partly of Crescent Blues of New Orleans." "We remained long enough to inquire after the Crescent Blues, the fine independent corps commanded by that gallant and accomplished young officer, McGavock Goodwyn. The Blues are now attached to the 49th Virginia regiment, commanded by ex-Governor Smith, of whose gallant conduct in the battle of the 21st General Beauregard speaks in the most glowing terms." "The Crescent Blues, we believe, acted as an artillery company, and had charge of a battery". "On the morning of the 21st, they were associated with the Beauregard Rifles, a Washington City company, and the New Market Guards, a Virginia company, all under the command of Captain Schaeffer, of the Beauregard Rifles, and ordered to support Latham's Battery a company of Lynchburg Artillery." "A second and third time the acting Major of the Battalion directed a retreat, stating (so it is said) that the day was lost, and that to remain was to court swift and certain destruction. Captain Goodwyn then remarked that he and his company had come there to fight, and not to retreat, and begged to be permitted to remain. The permission was given, and Captain Goodwyn then called for volunteers. His call responded to by about fifty members of his own company; including Lieutenants Saunders and De Lisle, and a portion of the Beauregard Rifles. The rest of the battalion retired under orders of the commander. Captain Goodwyn and his followers continued to support Latham's Battery until they charged and captured Griffin's Battery (three piece) and turned its guns on the enemy." "Goodwyn fell in with Col. Kershaw's, South Carolina Regiment, just as it was making the final charge on the enemy, and participated in the pursuit of the flying federalists as far as Centerville." "This company was composed of members of the Pelican Hook and Ladder Fire Company of New Orleans. It went to Virginia unattached and fought at Manassas with two other independent companies. In September, 1861, it was attached for one month to the 49th Virginia Infantry." "The National Rifles of Washington was a District of Columbia Militia Company. Captain Francis B Schaeffer led the majority of his hundred-man company across the river into Virginia service. They became Company F, 1st Virginia Infantry, called the Beauregard Rifles." The Virginia Regimental Histories Series, First Virginia Infantry, Third Edition, byL A Wallace, Jr.
A guide to Virginia military organisations 1861-1865, Revised Second Edition, by I A Wallace, Jr. The Beauregard Rifles was accepted in state service at Pheonix Hall, on Prince Street, Alexandria, Alexandria County, Virginia, on 1 April, 1861, and was assigned to the Washington (National) Battalion Volunteers, Company C, on 28 April, 1861. Alexandria, Alexandria County, to Culpeper Courthouse, Culpeper County, Virginia, 28 April, 1861: The Beauregard Rifles was ordered to proceed by the Orange & Alexandria Railroad to Culpeper Courthouse, Culpeper County, Virginia, at 7 AM on 28 April, 1861, and was accompanied by the Washington (National) Battalion Volunteers, Companies A and B, and Colonel P St G Cocke, Provisional Army of Virginia, and Lieutenant Colonel S Jones, assistant adjutant general, Provisional Army of Virginia, and arrived at Culpeper Courthouse, Culpeper County, Virginia, at 10 AM the same day (See the Garrison at Alexandria). Mustered for one year, Camp Pickens, Manassas Junction, Prince William County, Virginia, 1 May, 1861: The Beauregard Rifles was mustered in state service for one year at Camp Pickens, Manassas Junction, Prince William County, Virginia, by Major G W Brent, Provisional Army of Virginia, on 1 May, 1861. Note: The Beauregard Rifles was stationed at Camp Pickens, Manassas Junction, Prince William County, Virginia, between 29 April and 22 June, 1861. Camp Pickens, Manassas Junction, Prince William County, to the Stone Bridge, on the Bull Run River, 22 June, 1861: The Beauregard Rifles was ordered to the Stone Bridge, on the Bull Run River, by Special Orders No.61, Headquarters, Army of the Potomac, Camp Pickens, Manassas Junction, Prince William County, Virginia, on 22 June, 1861. Special Orders No.94, Paragraph II, Headquarters, Army of the Potomac, Camp Pickens, Manassas Junction, Prince William County, Virginia, 6 July, 1861: The Beauregard Rifles, the Crescent Blues, Company B, and the New Market Volunteers were temporarily assigned to Schaeffer's Battalion Infantry, under the command of Acting Major & Captain F B Schaeffer, Beauregard Rifles, by Special Orders No.94, Paragraph II, Headquarters, Army of the Potomac, Camp Pickens, Manassas Junction, Prince William County, Virginia, on 6 July, 1861. Note: The Crescent Blues, Company B, and the New Market Volunteers were stationed at Camp Pickens, Manassas Junction, Prince William County, Virginia, on 6 July, 1861. After the first battle of Manassas the Beauregard Rifles, under the command of First Lieutenant E H Cummins, was assigned to the 1st Virginia Infantry, Company F (2nd), and ordered to Centreville, Fairfax County, Virginia, by Special Orders No.150, Headquarters, Army of the Potomac, Camp Pickens, Manassas Junction, Prince William County, Virginia, on 23 July, 1861 (See the 1st Virginia Infantry). Note: Captain F B Schaeffer, Beauregard Rifles, was ordered to Manassas Junction, Prince William County, Virginia, by Special Orders No.150, Headquarters, Army of the Potomac, Camp Pickens, Manassas Junction, Prince William County, Virginia, on 23 July, 1861. Note: The 1st Virginia Infantry, Company F (2nd), was assigned to the 1st Virginia Light Artillery, Company C (1st), on 7 September, 1861. Mustered out, Camp Pickens, Manassas Junction, Prince William County, Virginia, 5 & 13 November, 1861: The 1st Virginia Light Artillery, Company C, was discharged by General Orders No.71, Headquarters, First Corps, Army of the Potomac, Centreville, Farfax County, Virginia, on 5 November, 1861, and was mustered out at Camp Pickens, Manassas Junction, Prince William County, Virginia, by First Lieutenant J Pelham, artillery, Confederate States Army, on 13 November, 1861. The Crescent Blues, Company B, was accepted in Confederate service and ordered to Richmond, Henrico County, Virginia, by the Secretary of War L P Walker, on 4 June, 1861, and was stationed at the armory, on the corner of Camp and Natchez Streets, New Orleans, Orleans Parish, Louisiana, on 7 June, 1861. Mustered for the war, New Orleans, Orleans Parish, Louisiana, 8 June, 1861: The Crescent Blues, Company B, was mustered in Confederate service at New Orleans, Orleans Parish, Louisiana, by First Lieutenant C W Phifer, cavalry, Confederate States Army, on 8 June, 1861. New Orleans, Orleans Parish, Louisiana, to Lynchburg, Campbell County, Virginia, 17-24 June, 1861: The Crescent Blues, Company B, was ordered to proceed by the New Orleans, Jackson & Great Northern Railroad to Lynchburg, Campbell County, Virginia, in the morning on 17 June, 1861, and arrived at Camp Davis, a quarter of a mile southwest of College Hill, Lynchburg, Campbell County, Virginia, on 24 June, 1861. Note: The Crescent Blues, Company B, was assigned to an Independent Alabama, Georgia, and Louisiana Battalion Volunteers, under the command of Captain R A Hardaway, Hardaway's Alabama Volunteers or Light Infantry, at Camp Davis, a quarter of a mile southwest of College Hill, Lynchburg, Campbell County, Virginia, between 28 June and 4 July, 1861 (See the Battalion Heavy Artillery). Camp Davis, a quarter of a mile southwest of College Hill, Lynchburg, Campbell County, to Manassas Junction, Prince William County, Virginia, 4-5 July, 1861: The Crescent Blues, Company B, was ordered to proceed by the Orange & Alexandria Railroad to Manassas Junction, Prince William County, Virginia, on 4 July, 1861, and was accompanied by the Hardaway's Alabama Volunteers or Light Infantry, the Madison Artillery or Tips (Tipperarys), and the North Sumter Rifles, under the command of Captain R A Hardaway, Independent Alabama Volunteers or Light Infantry. The company arrived at Camp Pickens, Manassas Junction, Prince William County, Virginia, on 5 July, 1861. Note: The Beauregard Rifles, under the command of Captain F B Schaeffer, was stationed at the Stone Bridge, on the Bull Run River, on 6 July, 1861. Special Orders No.124, Paragraph I, Headquarters, Army of the Potomac, Camp Pickens, Manassas Junction, Prince William County, Virginia, 17 July, 1861: The Crescent Blues, Company B, was assigned to Colonel W Smith, 49th Virginia Infantry, at Camp Pickens, Manassas Junction, Prince William County, Virginia, by Special Orders No.124, Paragraph I, Headquarters, Army of the Potomac, Camp Pickens, Manassas Junction, Prince William County, Virginia, on 17 July, 1861 (See the 49th Virginia Infantry). After the first battle of Manassas the Crescent Blues, Company B, was stationed at Camp Pickens, Manassas Junction, Prince William County, Virginia, on 5 August, 1861, and was assigned to Seventh Louisiana Battalion Infantry (St Paul's Foot Rifles or Washington Battalion infantry), Company C, under the command of Major H St Paul, on 1 October, 1861 (See the Washington Battalion Artillery). The company was accepted in state service at New Market, Nelson County, Virginia, on 7 June, 1861, and was stationed at Camp Jefferson, on the grounds of the University of Virginia, one mile west of Charlottesville, Albemarle County, Virginia, on 11 June, 1861. Mustered for one year, Camp Jefferson, on the grounds of the University of Virginia, one mile west of Charlottesville, Albemarle County, Virginia, 11 June, 1861: The New Market Volunteers was mustered in state service for one year at Camp Jefferson, on the grounds of the University of Virginia, one mile west of Charlottesville, Albemarle County, Virginia, on 11 June, 1861. Special Orders No.124, Paragraph I, Headquarters, Army of the Potomac, Camp Pickens, Manassas Junction, Prince William County, Virginia, 17 July, 1861: The New Market Volunteers was assigned to Colonel W Smith, 49th Virginia Infantry, at Camp Pickens, Manassas Junction, Prince William County, Virginia, by Special Orders No.124, Paragraph I, Headquarters, Army of the Potomac, Camp Pickens, Manassas Junction, Prince William County, Virginia, on 17 July, 1861 (See the 49th Virginia Infantry). After the first battle of Manassas the New Market Volunteers was ordered to Manassas Junction, Prince William County, Virginia, in the evening on 21 July, 1861. The Beauregard Rifles, the Crescent Blues, Company B, and the New Market Volunteers were temporarily assigned to Schaeffer's Battalion Infantry, under the command of Acting Major & Captain F B Schaeffer, Beauregard Rifles, by Special Orders No.94, Paragraph II, Headquarters, Army of the Potomac, Camp Pickens, Manassas Junction, Prince William County, Virginia, on 6 July, 1861, and Schaeffer's Battalion Infantry was stationed at Lewis' Ford, west and east of the Bull Run River, in the morning on 21 July, 1861. Note: Schaeffer's Battalion Infantry was assigned to the Fifth Brigade, Army of the Potomac, under the command of Colonel P St G Cocke, 19th Virginia Infantry, at the Stone Bridge, on the Bull Run River, on 18 July, 1861 (See the 19th Virginia Infantry). Colonel P St G Cocke, 19th Virginia Infantry, Fifth Brigade, Army of the Potomac: Captain P St G Cocke, Powhatan Troop, was appointed colonel, Provisional Army of Virginia, at Culpeper Courthouse, Culpeper County, Virginia, and assigned to command the military operations of the State of Virginia bounding the Potomac River on 21 April, 1861 (See Headquarters, Army of the Potomac). Colonel P St G Cocke, Provisional Army of Virginia, was ordered to proceed by the Virginia Central Railroad to Alexandria, Alexandria County, Virginia, the same day and was stationed at the Mansion House Hotel, on Fairfax Street, Alexandria, Alexandria County, Virginia, on 22 April, 1861. He was ordered to proceed by the Orange & Alexandria Railroad to Culpeper Courthouse, Culpeper County, Virginia, at 7 AM on 28 April, 1861, and was accompanied by the Washington Volunteers, Companies A and B (See the Garrison at Alexandria). Colonel P St G Cocke, Provisional Army of Virginia, arrived at Culpeper Courthouse, Culpeper County, Virginia, at 10 AM the same day and was ordered to proceed by the Orange & Alexandria Railroad to Manassas Junction, Prince William County, Virginia, by Special Orders No.49, Headquarters, Department of Alexandria, Camp Pickens, Manassas Junction, Prince William County, Virginia, on 19 June, 1861. Colonel P St G Cocke, 19th Virginia Infantry, was assigned to command the Fifth Brigade, Army of the Potomac, by General Orders No.20, Headquarters, Army of the Potomac, Camp Pickens, Manassas Junction, Prince William County, Virginia, on 20 June, 1861, and was appointed brigadier general, Confederate States Army, on 21 October, 1861. Brigadier General P St G Cocke, Confederate States Army, committed suicide at Belmead, on the James River, nine miles northwest of Powhatan Courthouse, Powhatan, Powhatan County, Virginia, on 26 December, 1861. Note: Colonel P St G Cocke, Provisional Army of Virginia, was assigned to command the troops from the counties of Rappahannock, Culpeper, Madison, Green, Orange, Albemarle, Nelson, Amherst, Campbell, Bedford, Roanoke, Botetourt, and Craig by Special Orders No.39, Paragraph III, Headquarters of the Division, Richmond, Henrico County, Virginia, on 10 May, 1861.